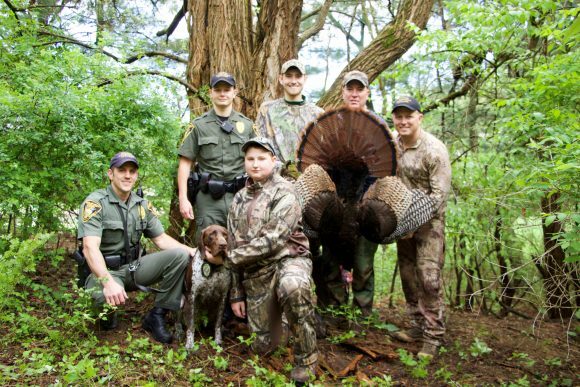 South Bend – Indiana Conservation Officers are passionate about the outdoors and when given the opportunity last week to help a brave young man experience a dream turkey hunt ICO’s jumped at the idea. Evan Ross (16, South Bend) was not going to let his battle with Leukemia keep him from pursuing a desire to test his skills in the woods. Evan teamed up with a few Indiana Conservation Officers. After a couple visits with Evan, his family, and some practice, he was ready. Conservation Officers Mark Richter, Dustin Whitehead, and avid outdoorsman Bailey Hershberger shared the turkey blind with Evan. They watched on in trepidation as Evan’s heart raced and his hands shook from excitement. With little hesitation, Evan squeezed the trigger and harvested a beautiful turkey that any experienced hunter would be proud of. ICO Jon Cook and ICO Hunter Law took full advantage of the hunt to train ICO Cook’s canine partner TK. TK and his handler were unfamiliar with the property and were challenged finding the hunters, but TK did an amazing job, following the scent trail exactly to the hidden location just in time to check the successful group of hunters. Many memories were shared and it’s a hunt no one will soon forget. Sometimes it’s impossible to put into words what we get out of a hunt. We know it is not about meat for the freezer or a trophy to hang on the wall, that’s a bonus. What is it we really about? Is it to test nature’s chest game of predator vs. prey, to be out of our daily human element, to conserve and manage wildlife, to hear that first gobble echo through the woods as we patiently wait, to see nature wake up around us as the sun rises, to have an experience where the thrill of the hunt is so intense that your knees shake, or maybe it’s the memories we make? 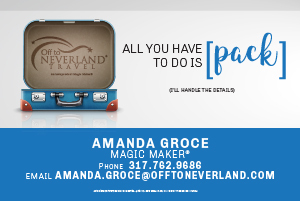 There are a thousand questions with a thousand answers, not one answer is more correct than the other, the answer doesn’t matter as long as we share our passion for the future then they will know the answer.